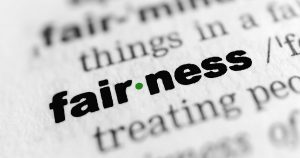 The article discusses how people’s reactions to perceptions of fairness are more important than the physical realities of their life and conditions of the society they live in. The article’s points to perception of fairness, or unfairness, as prime instigators or societal unrest and rebellion. We believe the lessons are important related to how we treat employees and their satisfaction, ownership of the company’s success and their own treatment of customers and co-workers. If employees perceive that they are being treated fairly, respectfully and that their contributions are valued they will be much more likely to be satisfied and less likely to leave the employer for better income opportunities. Income is always an important component but satisfaction with the culture of the employer will inoculate the employer from much staff turnover.